SUTHERLIN, Ore. (April 2007) - The Hi-Way Haven RV Park is open to RVing guests the ayear round. In operation since 1988 the park has long been considered a premier destination stop for many full time RV enthusiasts and it offers something unique to it���s camping guests. Remley an Oregon native purchased the Hi-Way Haven RV Park in January 2006 after leasing the land since September 2005, and was inspired to return the park to its original roots as a local landmark -- the Cloverleaf Drive-In. ���I actually went to the movies here many times as kid.��� added Remley. Guests of the 100 site park can now live at the movies while watching classic films from the comfort of their own RV. But as Remley quickly points out many guests prefer watching from their cars the old fashioned way. Using an LCD projector, a laptop computer, and an FM transmitter Remley provides guests with something that is hard to find in today���s ultra modern movie theaters, a good time. Drive-In theaters peaked in the United States in the late 1950���s with over 5000 theaters operating across the country. Today only four remain operating in Oregon. Remley received his license to show classic films from the Motion Picture Licensing Corporation which grants him the ability to show films from many of the top film libraries as long as he meets some basic guidelines. While the number of drive-in���s has diminished over the years the number of baby boomers purchasing RV���s and hitting the road full time has skyrocketed. Today nearly 1 out of every 12 households in America owns an RV, a growth of 38% since 1980. 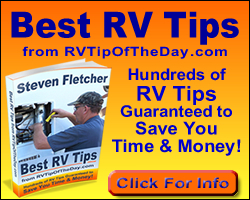 The typical RV Owner is 49 years of age and married according to RVIA -- The Recreational Vehicle Industry Association. The Hi-Way Haven RV Park is located at 609 Fort McKay Rd, in Sutherlin, Oregon. For more information about the park, or to speak with Jim Remley please visit www.hhrvpark.com or call 1-800-552-5699.